Kapundung is a native of South East Asia. 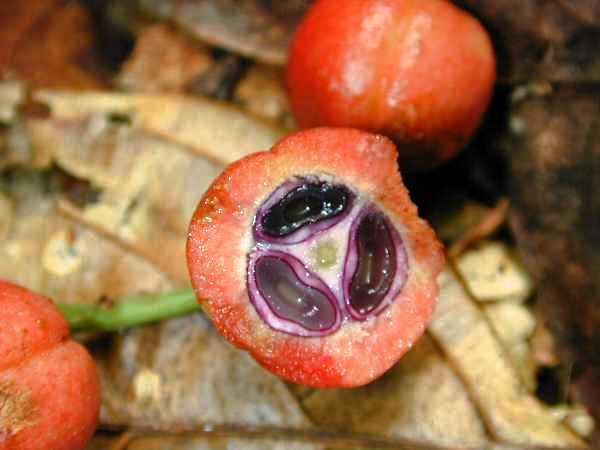 This fruit is widely cultivated in Java, Sumatra, Bali and peninsular Malaysia. It thrives in tropical lowland forests at elevations up to 1000 m.
Evergreen tree, upto 25 m tall, 25-70 cm in diameter, crown dense and irregular. Leaves, ovate oblong to obovate, 7-18 cm long, 3-7 cm wide, glandular, petioles 0.5 to 4.5 cm; stipules triangular. Inflorescence on old branches or on trunk, male racemes 5-13 cm long, compound of numerous 3-flowered, densely haired cymes, flowers very small, sepals 4-5, stamens 4-8; female racemes 10-12 cm long, solitary or fascicles, flowers rather large, sepals 5, ovary 3-4 locular. 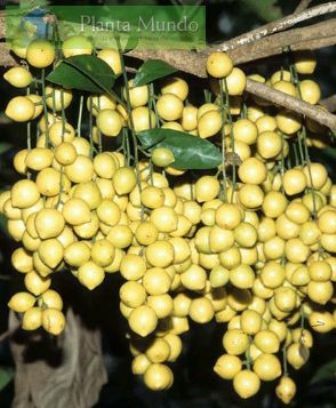 Fruits 2-2.6 cm in diameter, yellowish-green or reddish. 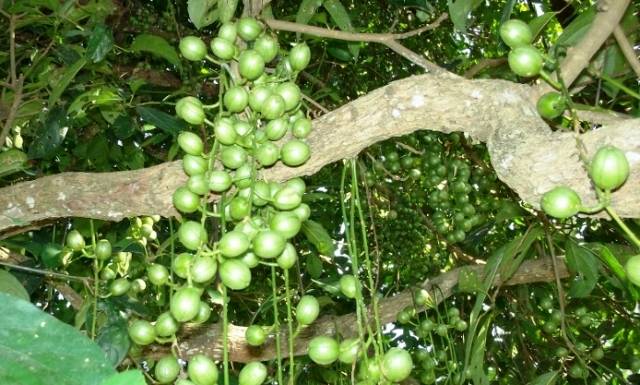 Kapundung is grown for its fruits which vary very much in taste and quality. The fruits which are most in demand a are those which are less sour and in which the flesh is free from seeds. So work needs to be done in selecting such clones from the vast variety of seedlings. The fruit is also used in stews and made into a pickle too. 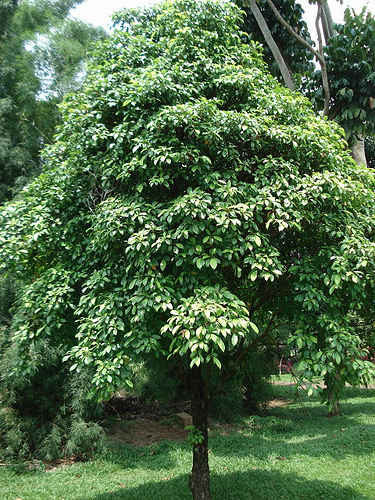 The leaves are reported to contain a useful alkaloid. The leaves also yield a dye. Kampudung has two distinctly variable forms. One has white flesh while the other has red flesh. Both sweet as well as sour fruits are found in each form.